When most people talk about climate change, it’s in terms of generalities or long-term effects. But for businesses that depend on natural resources, changes to the environment can have a very real, imminent effect on the bottom line. 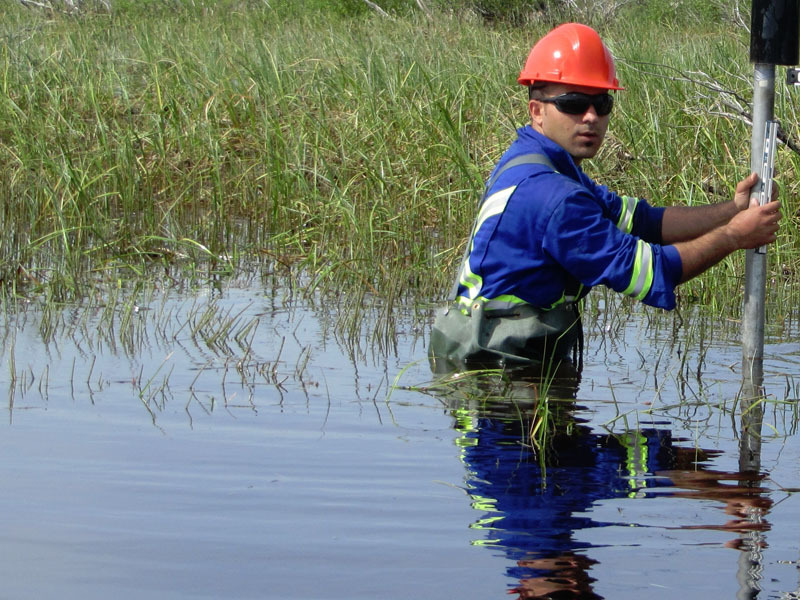 Through Mitacs Accelerate, PhD student Sina Abadzadesahraei has given one company a detailed look at what’s been happening to water levels in northern BC in the past, so it can plan for the future. Sina was beginning his program at the University of Northern BC’s Natural Resources and Environment Studies department when he was given the opportunity to apply his specialized knowledge of watershed management to an Accelerate project for lumber giant Canfor. He noted Canfor only takes one percent of the water from the Nechako for its mill. While other industries like agriculture, oil and gas, and dams draw an unknown quantity from the river, that didn’t account for the bulk of the drop. Mike adds that there are broader benefits to having a better understanding of the water basin.